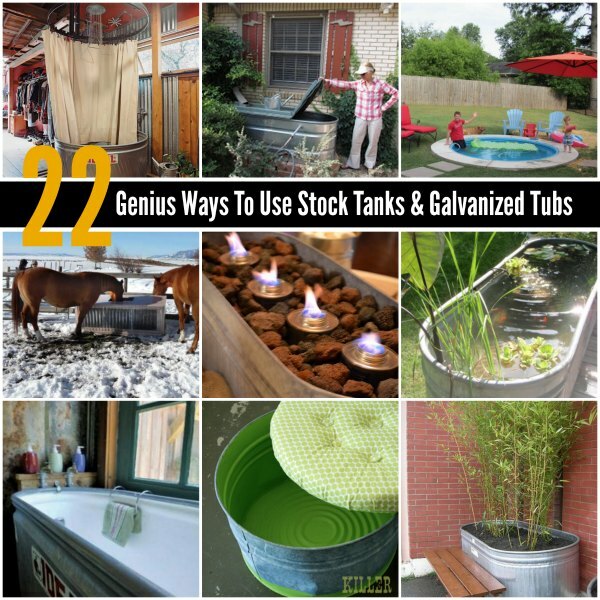 You can find stock tanks and galvanized tubs at local feed stores, at farm sales, on Craigslist, and even on Amazon for a decent price. 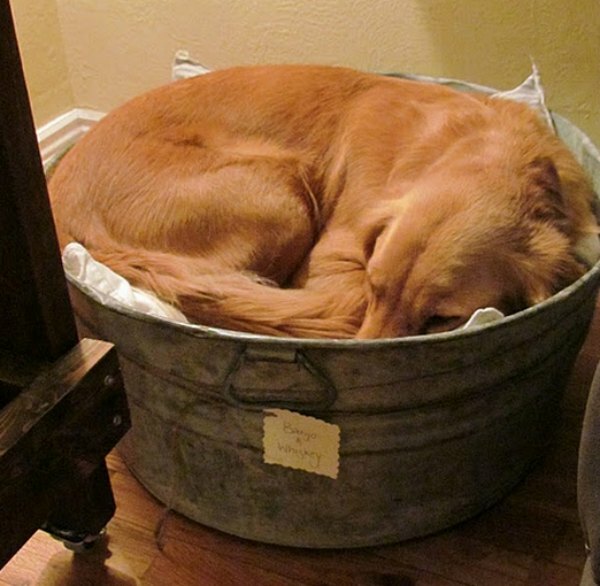 They come in a variety of sizes and shapes. *Special note: One of the perks of an Amazon Prime membership is that all items indicated as “Prime” – which is many! – ship for quickly (2-days) and for free. Most of the stock tanks and galvanized tubs qualify as “Prime.” If you’re a frequent Amazon shopper or buy large items, the shipping benefit alone often pays for the membership fee. Plus you then get access to free movies, music, and books. 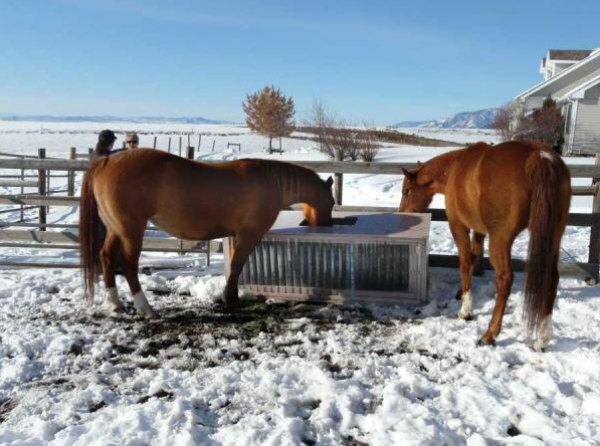 Make a solar heater stock tank to make it easier to water your animals during the freezing winter months. 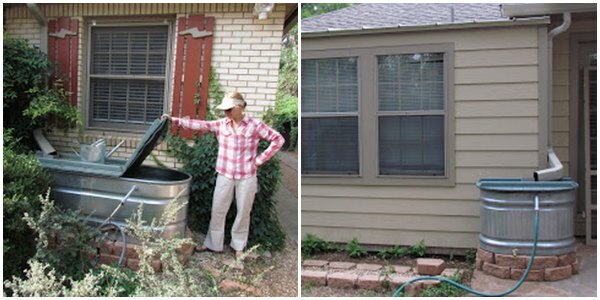 Use stock tanks for water collection. 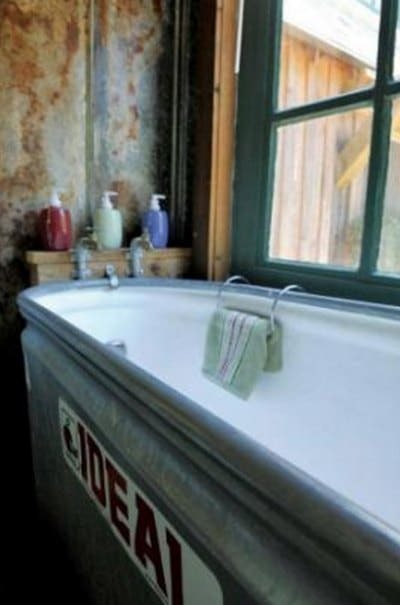 Use a stock tank with a fiberglass lining installed to create your new bathtub. In this instance, the tank was purchased for $50 and the installed lining was $40, for a total cost of $90. 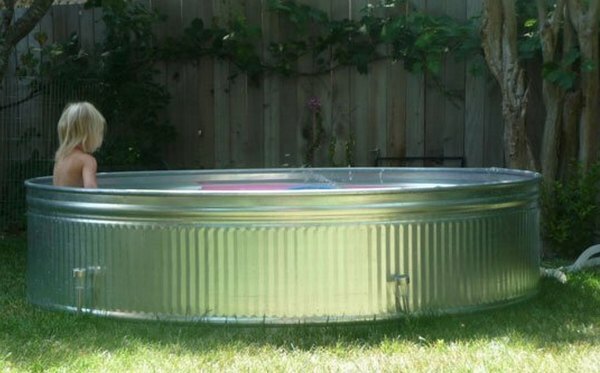 In the warm months, cool off and splash around in a stock tank pool. This size of this pool is 8 feet in diameter and about 2 feet deep. 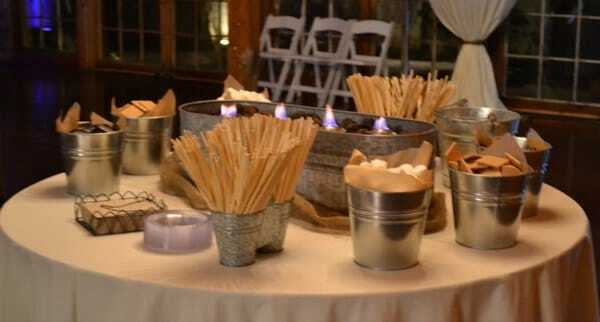 The total cost for this project ran about $500. 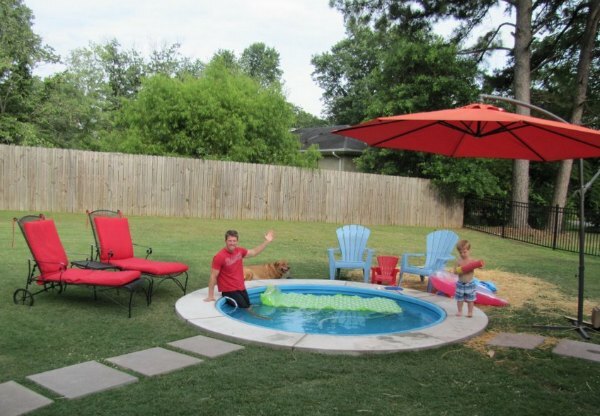 With some additional DIY effort, this pool can be converted into hot tub to use during the cooler months. This pool is 9 feet in diameter and is about 26 inches deep. 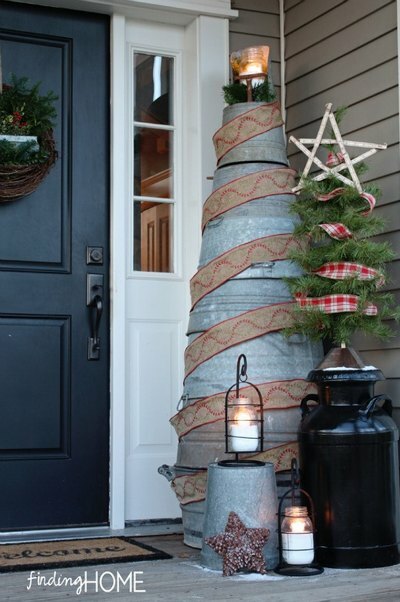 It holds about 1000 gallons of water. The total cost for the stock tank, filter, pump and plumbing supplies runs about $930. Like the above ground pool, a spa heater can be installed to turn this pool into a hot tub. 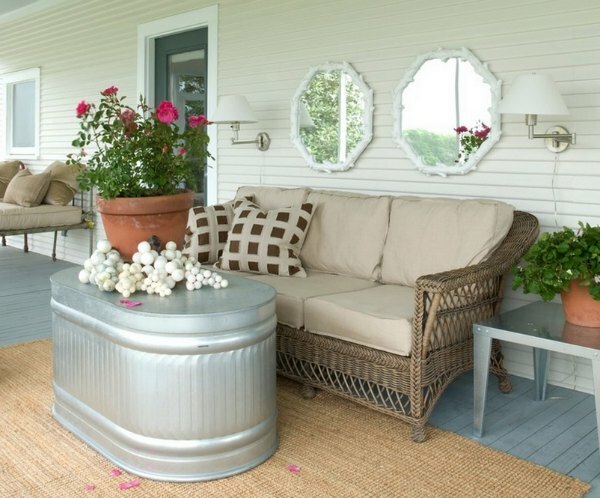 Turn a stock tank upside down to create an indoor or outdoor coffee table. 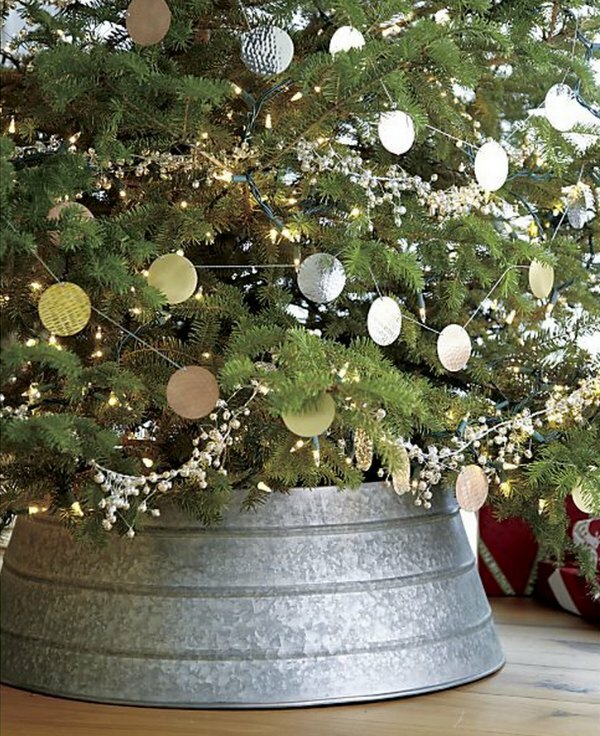 Paint the tank in a color to coordinate with your decor, if you choose. 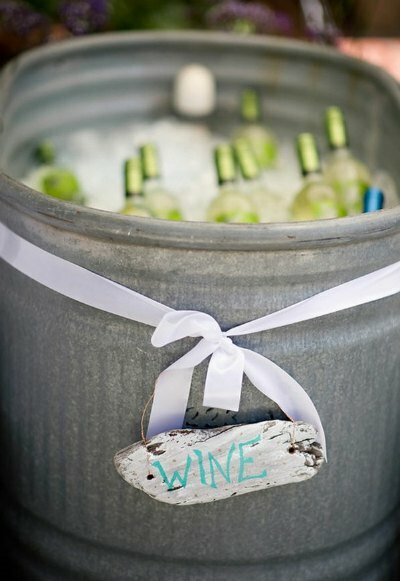 Keep your beverages chilled at parties and gatherings with a stock tank cooler. 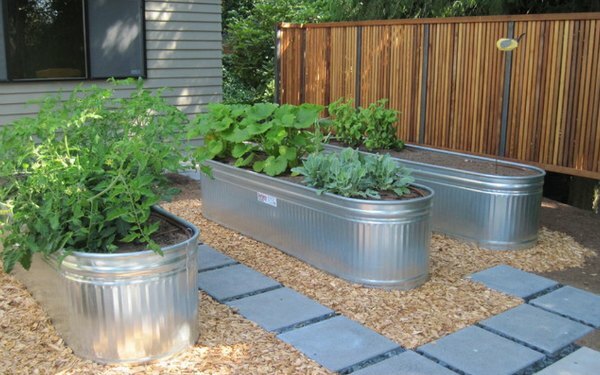 Stock tanks are durable and long lasting for raised garden beds. 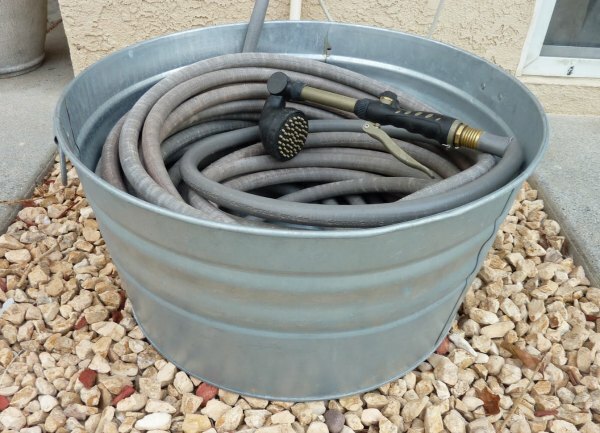 They work best in partial shade because the galvanized metal will heat up, thus heating up the soil which can damage your plants. 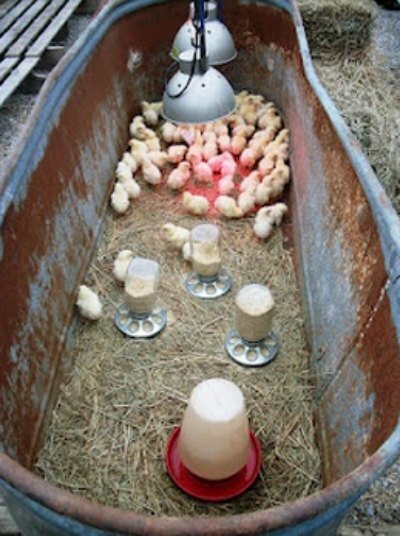 You can use liners with stock tanks if you are concerned about zinc or cadmium ever leaching into your soil. 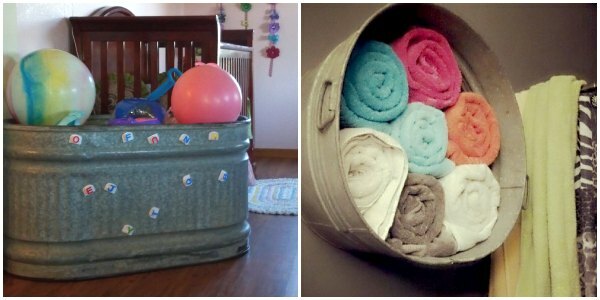 This upholstered ottoman has storage blankets, toys, or whatever else needs put away. 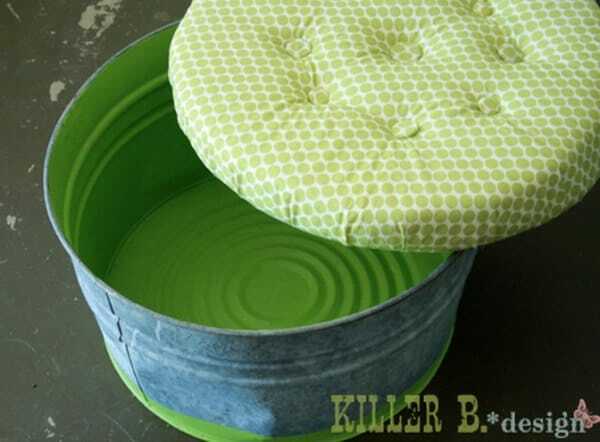 It provides extra seating and a great way to put your feet up to relax. 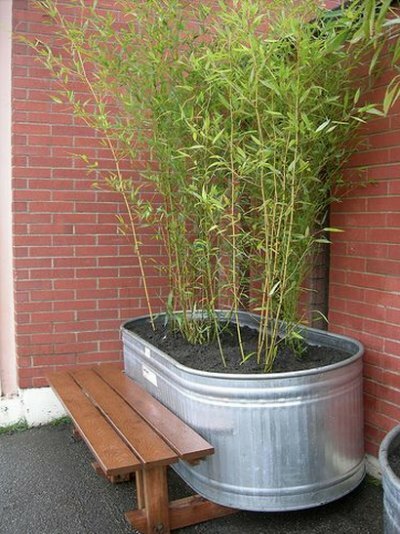 Some bamboo varieties are considers “runners” because they grow rapidly and become invasive. Planting this type into large containers will prevent them from spreading and overtaking your yard. 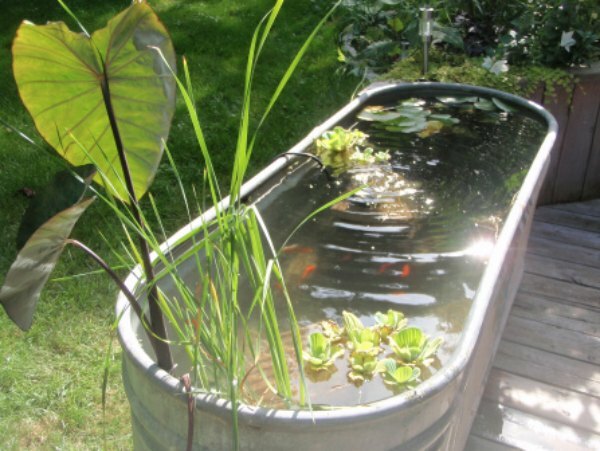 Enhance your garden with various plants in a variety of different sized galvanized tubs and stock tanks. 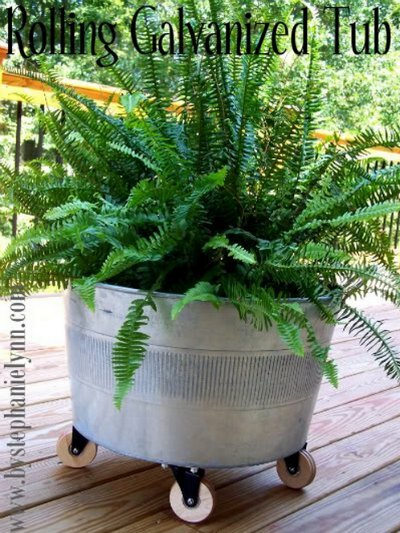 Install wheels to those containers that you want portable. 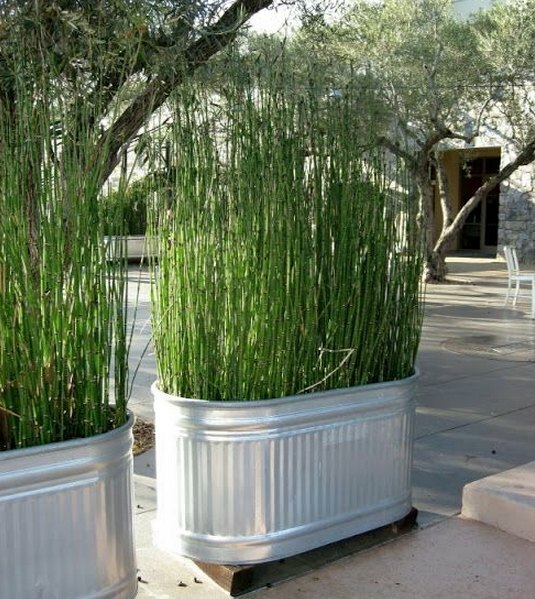 By planing plants that grow tall in stock tanks, you can create privacy fencing where you need it. 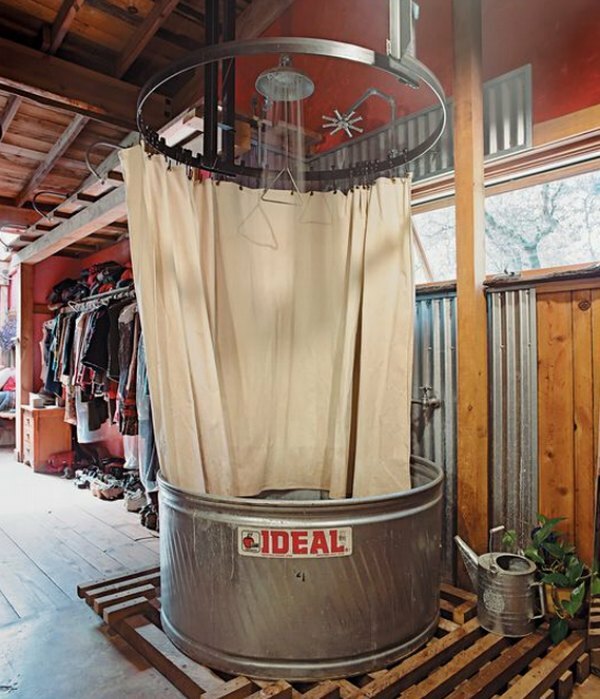 Stock tanks and galvanized tubs give you a variety of practical storage options. 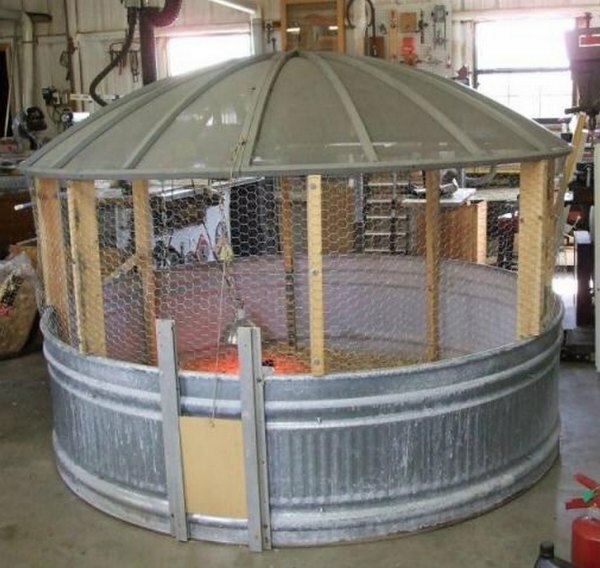 This chicken coop was made with a large stock tank, some wood, and an old satellite dish.